John Taylor, Director and Co-Founder of NGO Kota Kita, presented on three research initiatives around citywide information databases, inclusive participatory budgeting, and Indonesian angkots and urban transportation. John graduated from CED in 2000 with a BArch, he then joined the Peace Corps and continued working in Latin America for five years. He has also worked in Angola and most recently in Indonesia since 2009 where he founded the NGO Kota Kita. John received his Master’s in Urban Planning from Harvard University in '06 and has also worked as a consultant for UN HABITAT, UNDP and the Asia Foundation. Patricia A. Wilson discussed the implications for planning pedagogy and best practices for preparing planners to be facilitators of emergent systems change. 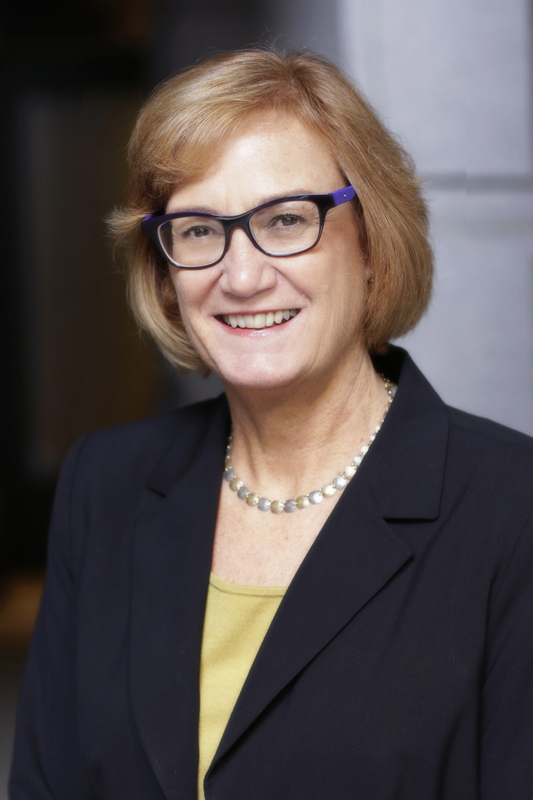 A past president of the Sociedad Interamericana de Planificación, Patricia A. Wilson is Professor of Community and Regional Planning at the University of Texas, Austin, where she founded the joint Master’s degree program in Planning and Latin American Studies. A faculty affiliate of the UT Center for Sustainable Development and the Lozano Long Institute of Latin American Studies, Dr. Wilson oversees the DECOS program in Sustainable Community Development in Mexico. She teaches graduate courses in participatory methods for planning, international participatory action research, and tactical urbanism, and an undergraduate signature course in participatory democracy. Her research and publications focus on international community development, particularly in Latin America. She holds a B.A. in economics from Stanford and a Ph.D. in planning from Cornell. Sharing her expertise on the social functions of malls, Professor de Simone reflected on how the shopping mall has become a discourse of development in light of being a privately-funded public space. Professor de Simone currently teaches communications at Pontificia Universidad Católica de Chile, Santiago and introduction to urbanism and landscape at the Universidad de Diego Portales. She has a long history with PUC, beginning with her career in architecture as an undergraduate and continuing with her completion of a master’s degree in the same field, only to stay on as a professor shortly thereafter. Professor de Simone’s current research focus addresses the question of how neoliberalism affects localities and urban development. In contrast to more conventional approaches of tracing neoliberalism from a macroeconomic and governmental perspective, De Simone seeks to identify the smaller cultural translations of neoliberalism that are often overlooked. Kristin Aarland presented on a paper that examines the mixed results of the Oslo Area-Based Initiative (ABI), an effort in Oslo, Norway that distinguishes itself by its extensive emphasis on improving the social fabric of distressed neighborhoods, upgrading and beautifying public space, and creating communal areas and meeting places for the locals. Dr. Aarland is a researcher specializing in housing policies and community development. After finishing her PhD in Economics at Brown University, RI, she returned to native Norway to work as a researcher at NOVA, a multi-disciplinary social sciences research institute. Her work has focused particularly on the long-term sustainability of low-income ownership. This series has had an abundance of expertise and strategies toward providing equitable, sustainable development. 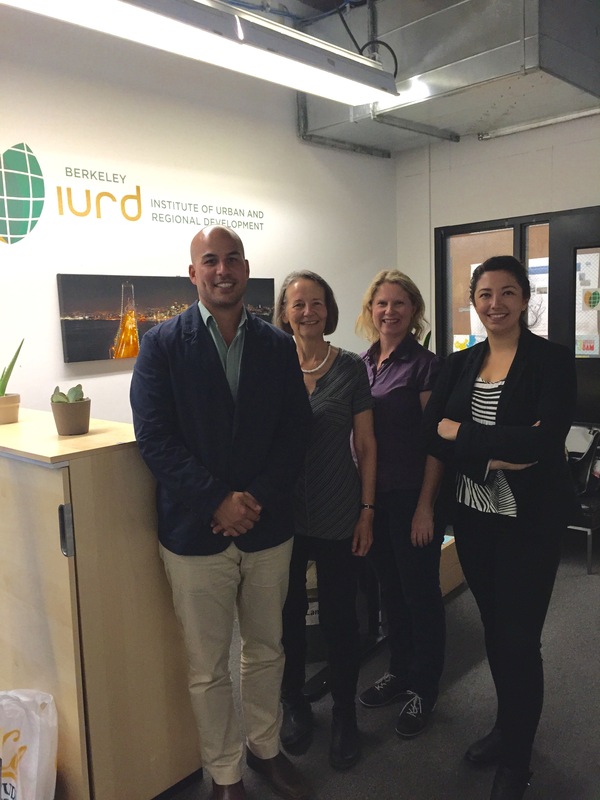 We have been fortunate to have John Taylor, Patricia A. Wilson, Liliana de Simone, and Kristin Aarland share their research, and we wish them the best with future endeavors. The world is becoming increasingly urbanized. Governments and transportation authorities face the challenge of accommodating rapidly growing urban transport demand with efficient, safe, affordable and sustainable transport, whether privately or publicly provided. At the “BRT and private transit: Integration in domestic and international contexts” symposium held at UC Berkeley on October 20th, a number of academics, researchers and other experts in the field discussed topics relating to the integration of public and private transport modes in domestic and international contexts. The event was sponsored by the Volvo Research and Educational Foundations. Bus rapid transit (BRT) is a commonly adopted strategy for delivering cost efficient but rapid mass transportation in cities. 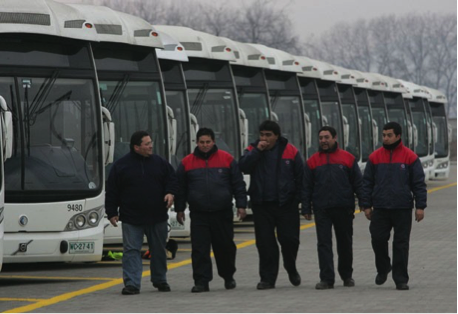 Originally innovated in Latin America, BRT has become widely adopted throughout the world, often in locations where mass transportation was previously made available only by a number of competing private bus companies, and sometimes informally, without effective regulation or safety standards. Integrating BRT with private and informal transit modes has been a daunting challenge in many locations. The integration process heavily depends on the specific context of the city, the incumbent transportation alternatives, and the institutional capacity and the policy objectives of implementing the intervention. If done well, public-private-informal transport integration could reduce the rapid increase in auto ownership in urban areas, or even reduce reliance on autos over time. In a rich presentation, Robert Cervero from the University of California, Berkeley, provided an overview of the challenges of BRT-paratransit integration, using research conducted in Jakarta, Indonesia and Dar es Salaam, Tanzania. One major challenge is buy-in from existing private operators. Cities sometimes hire incumbent operators as employees of the BRT system and enable them to participate as shareholders of the new operator entity. Sometimes those incumbent operators are subcontracted to provide feeder or direct line services. Dala-dalas atomized transit system characterized by fragmented ownership and management in Dar es Salaam, Tanzania. Source: Cervero, 2015. Jakarta’s BRT is a closed trunk system with no feeder buses. Since BRT infrastructure was underutilized and there was strong competition among incumbent minibus operators, the city incorporated some of those operators into providing direct-line service, but outcomes have been mixed. 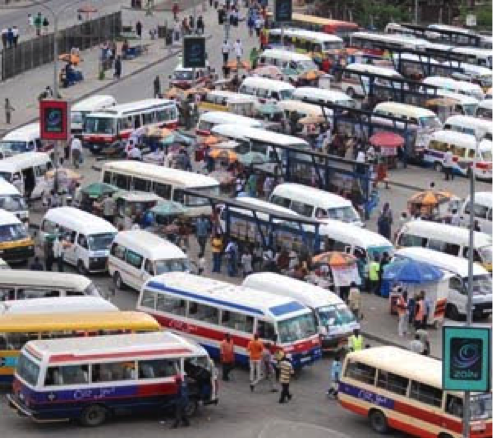 Meanwhile, the city of Dar es Salaam had a very fragmented incumbent system, with more than 6,600 minibuses and many operators owning only one or two vehicles. This made the negotiations for integrating and merging with former operators very complex. Currently the city is exploring a redeployment of these operators to areas unserved by the BRT network. Research presented by Roger Behrens, from the Centre for Transport Studies at the University of Cape Town, reinforced the idea that designing an appropriate strategy to incorporate previous paratransit/informal services is critical for the evolution of BRT projects. The South African government adopted a Public Transportation Strategy in 2007 to develop BRT trunk corridors and phase out informal services. 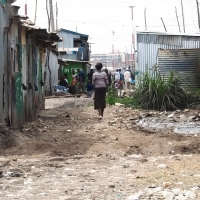 But some projects faced significant financial constraints and still require subsides. There was notable resistance by former informal operators, which, in many cases, has delayed BRT implementation. More than two thirds of the transportation services in South African cities are provided by unscheduled, low-capacity, self-regulated paratransit systems. Based on his extensive research in South Africa and elsewhere, Behrens suggests the need to consider a long-term strategy not just to integrate but to allow the co-existence of informal transit and BRT. Developing a BRT system and incorporating incumbent private and informal operators can be a very slow journey. But in some cases it can happen more quickly. In 2007 the Chilean capital, Santiago, implemented what at the time was called “the worst public policy ever implemented in Chile”: the Transantiago BRT System. According to Juan Carlos Muñoz from the Pontificia Universidad Catolica de Chile, the system was implemented and opened to users so fast that the bus infrastructure was not ready, there was a lack of information provided to users, and a financial deficit mounted. As the system matured, though, user acceptance increased, and Muñoz argues that the system proved to be efficient. Muñoz suggested that cities should learn from Transantiago’s experience and consider applying a similar “Big Bang” approach, with some adjustments. A citywide BRT system, Muñoz argued, should start with complete, system-wide fare integration, but without making actual changes to system capacity and operations; using this approach, it may be possible to gradually adjust the capacity and build the required infrastructure for BRT adoption. Clearly system capacity and user familiarization affect public-private transit integration from the user perspective. Abigail Cochran and Kelan Stoy presented findings from a recent research project on the Barranquilla, Colombia, BRT system. 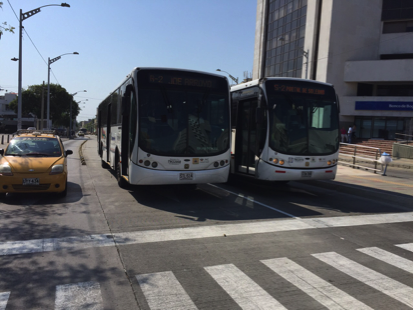 A graduate student group led by Professor Daniel Chatman conducted in-depth interviews with residents of Barranquilla, Colombia, to understand how Transmetro, a new BRT system, changed their mobility patterns, and how it interacts with the existing private and informal mass transportation services in the metro area. Transmetro was conceived as an integrated system with trunk-line corridors as well as feeder bus routes. Many interviewees reported benefits from the new system, but the majority also identified several drawbacks, particularly due to the elimination of former direct-line microbus routes, the extreme overcrowding of Transmetro at peak hours, and the unpracticality of using the BRT for short, local trips. Such challenges are likely mirrored in other BRT systems but have not been studied very much from the user perspective. There is still no good solution to the problems caused when moving from a private/informal point-to-point system to a public/private trunk-and-feeder system. Transantiago work conditions improvement for drivers. Source: Muñoz, 2015. Express service overtaking regular service. The interviews with Barranquilla residents revealed a high reliance on motorcycle taxis, or mototaxis, to make short-distance trips within their neighbourhoods. Despite safety issues, many interviewees cited convenience and affordability as reasons for using mototaxis. The mototaxismo trend is not unique to Barranquilla: many cities in Latin America have witnessed an increase of this mode, which in many cases is not legal. Daniel Rodriguez, from the University of North Carolina at Chapel Hill, showcased the results of recent research on motorcycles in some Latin American cities. He found that the private motorcycle user, mototaxi user, and mototaxi driver had different socio-demographic profiles. Despite the unreliability inherent in these services, along with high fares and inconsistent coverage, there are potential advantages including low operational costs, convenient door-to-door service, and travel time savings. Rodriguez suggested re-thinking the traditional approach of banning mototaxi operation in cities, since they fill a gap that currently is not being served by formal public transit services, and since bans have not always been effective. 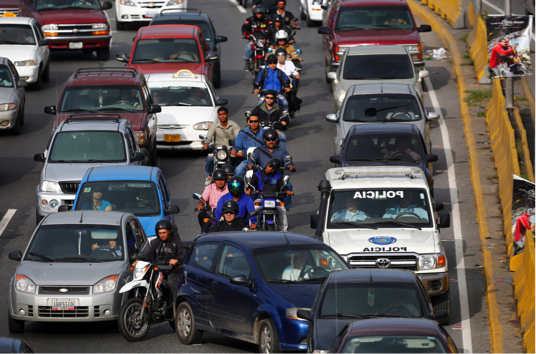 Motorcycle as transportation alternative and job creation in Latin American cities. Photo: Jorge Silva, Reuters. Besides informal alternatives, mass transit systems would benefit from better integration with “last-mile” services including car- and bike-sharing. Multimodal transit station infrastructure in high-density areas that accounts for parking provision, walkability, and urban design is a concept termed “mobility hubs.” Susan Shaheen of the University of California, Berkeley, provided a very interesting overview of some cities’ strategies to develop mobility hubs and ultimately enhance the transit network. The cities of Boulder, Colorado and San Francisco, California in the U.S. are working on improving real-time information for transit users by providing trip-planning applications used to assess cost, time and distance of different route and mode alternatives including such last-mile services. 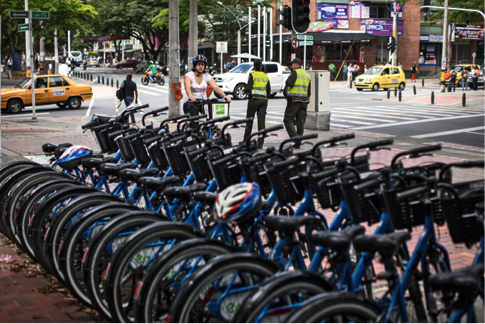 Medellin, Colombia, has strategically deployed bike sharing systems around BRT and cable car systems. The “killer app” for in the Medellin case is arguably fare integration. Being able to use a single fare card makes it is possible to transfer seamlessly from transit to the bike share system for one free hour of riding. Medellin, Colombia Encicla public bike-share system. Photo: Juan Arredondo. Public-private mass transport integration is becoming an issue, and an opportunity, in some US cities, despite a long historical period without very much private mass transport. Tilly Chang, Executive Director of the San Francisco County Transportation Authority, described some results of a pilot program to regulate private corporate buses in the city, which move about 17,000 commuters every day from San Francisco to their workplaces and back, making them a significant alternative to drive-alone trips. These corporate shuttles appear to be associated with increased transit ridership, walking and bicycle use, as well as with a reduction in car ownership. But the increases in such privately provided mass transport services have prompted concerns about congestion and curb management conflicts with public transit buses. Chang’s presentation provided a clear example of how these emerging alternatives require better understanding, and facilitating policies to enhance their benefits and mitigate their negative impacts. The pilot program in San Francisco provided information to settle some operational rules including utilization of buses over 35 feet long, curb usage free of charge for shuttles that are free and open to the public, nominal curb charges for other corporate shuttles, and provision of real time GPS data to monitor program operations. Understanding private mass transport and its integration with public transport, both in US cities and elsewhere, would be incomplete without studying private transport as an economic industry. In the US, there has been an ongoing discussion among researchers, urban planners, and transport regulators about the impact and legality of app-based door-to-door “ride sharing” services such as Uber and Lyft. Aaron Golub of Portland State University presented new research in progress about these services’ economic feasibility in the long run. He suggested that services like Uber and Lyft may be predicated upon an excess supply of labor. For example, in Brazil in the late 1990’s, informal transit services increased concurrently with unemployment, and there are similar examples from elsewhere in the world. In the US, the financial crisis of 2008 might have created labor conditions favorable to the emergence of app-based ride-source services. Golub questioned how sustainable “the Uber model” is given that his calculations suggest the net earnings for drivers in the US could be as low as $4 per hour after accounting for hidden costs that contract drivers might not initially take into account when deciding whether to participate. Whether these services can be a sustainable option for providing last-mile connections to mass transit, in the long run, may depend on either public subsidy to be financially sustainable or adjustment of the business model. For example, instead of door-to-door services, these providers could serve predefined pick-up zones, reducing costs. Transportation systems are changing rapidly, boasting an expanding number of alternatives fostered by technology, user demands, and economic conditions. Not only have city authorities been responding to these changes, but so too have technology and transport providers. Nova Bus Vice President of Sales, Robert Mowat, presented the company’s strategy for providing city transportation solutions to mitigate congestion, air pollution, and climate change, and to enhance road safety and energy use. 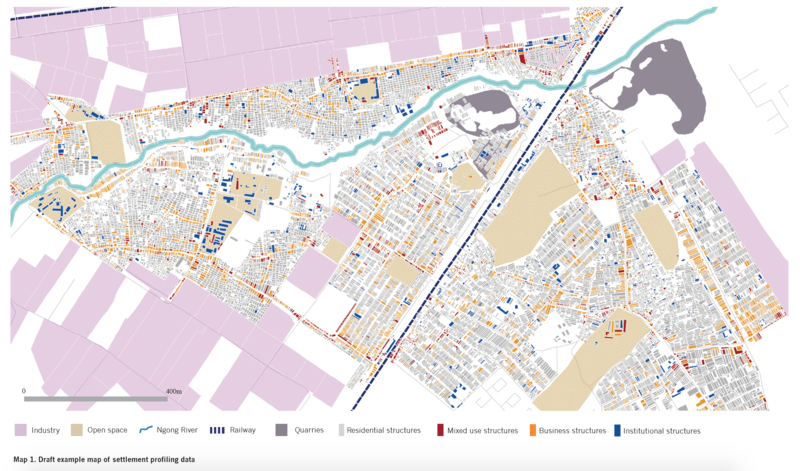 Mowat discussed the ways in which local city and transport network conditions influence which type of system makes the most sense to implement: BRT systems, conventional bus lines, feeder systems or commuter services. The symposium ended with a group conversation among the panelists. There was agreement that the problem of integrating private and informal mass transport with public transportation is important and achievable in some contexts, but that the challenges in developing world contexts like South Africa, Colombia, and Indonesia are huge. Much depends on the institutional and market context into which new BRT services are introduced, and on the ability of the public sector to manage a complex negotiations and subsidy process. Meanwhile, cities in the US and elsewhere in richer countries are confronting new technology-driven forms of mass transport and ride sharing that have the potential to either help or hinder urban transport sustainability. How these parallel transport system development processes can inform each other is an important question for further research. 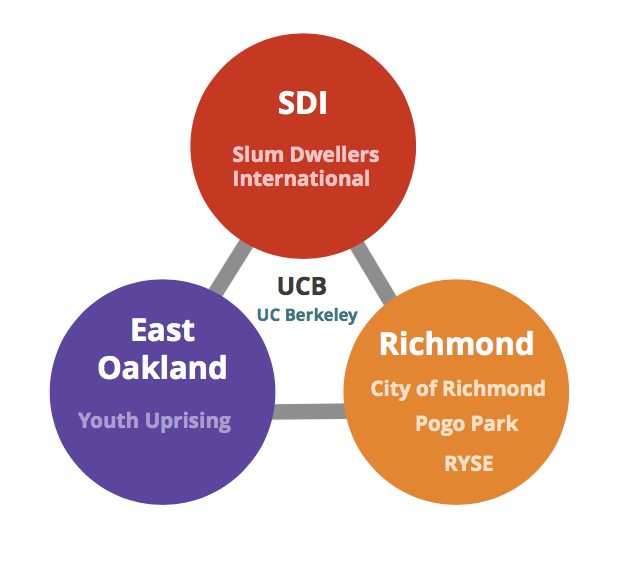 As many already know, I have started my new appointment as I. Donald Terner Distinguished Professor in Affordable Housing and Urban Policy in the Department of City and Regional Planning with the College of Environmental Design here at UC Berkeley. I wanted to take the opportunity to introduce myself, say “hello” and share a bit about what I’m working on and looking forward to in the coming semesters. As an alumna of the Master’s of City Planning program, this is somewhat of a homecoming. I have returned to the Bay Area from my role in the Obama Administration as Assistant Secretary for Housing and Federal Housing Commissioner at the U.S. Department of Housing and Urban Development (HUD). As FHA commissioner during the worst financial crisis since the Great Depression, and one precipitated by the housing collapse, it was a challenging and fascinating time to work in housing and in the federal government. Leading FHA, my work focused on stabilizing the housing market and the agency itself by providing critical access to credit and developing new responses to the rental affordability crisis, including Choice Neighborhoods and the Rental Assistance Demonstration program. It is a very exciting time to be jumping in at Berkeley. In addition to my teaching and research roles, I’m also honored to be serving as co-chair of the Policy Advisory Board of the Fisher Center of Real Estate and Urban Economics in the Haas School of Business. These roles are providing the opportunity to connect with the tremendous network of students and faculty across campus, and take advantage of the wealth of resources UC Berkeley has to offer. As I’ve settled in here on campus, I’ve also had the chance to attend and speak at several off campus events about my work in the Administration and reflect on the current state of the housing field. Most recently I was back in Washington speaking at the Mortgage Banker’s Association Single Family Rental Finance Summit. Last month, I provided testimony to the California Assembly’s Committee on Housing and Community Development, addressed the Association of Bay Area Governments at their State of the Region Symposium, and spoke to the Emerging Leaders Peer Network (an initiative of the Non-Profit Housing Association of California). In February, I spoke at the The Real Estate and Law Symposium at Stanford University, and in January, I sat on a panel for Zillow, as they kicked off their National Housing Tour. 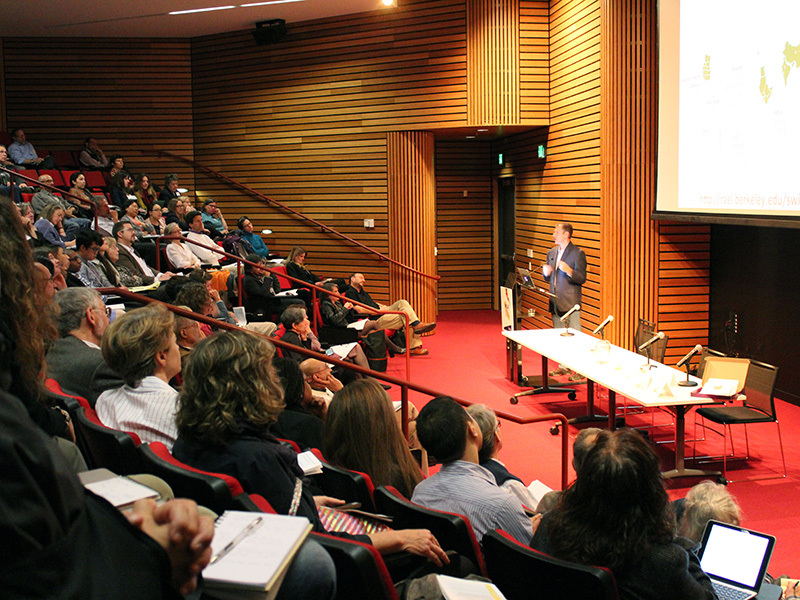 Here on campus, I was invited to address students, faculty and alumni at the Berkeley Circus Soiree, where I spoke about the enormous responsibility and intellectual challenge of being at the center of the federal government’s response to the housing crisis, and what was involved in shaping that response. I offered my thoughts on some of the challenges and opportunities we’re contending with in the housing field here in the Bay Area, as well as in California, and the country as a whole. These ideas and reflections are in part what is shaping my vision and thoughts for the development of a new housing center here at Berkeley. Though still in the early stages of formation, I look forward to more formally don the hat of Faculty Director in the coming months with our official launch. The center will be a collaboration among the College of Environmental Design, the Institute of Urban and Regional Development, and the Fisher Center on Real Estate and Urban Economics, and we will examine the latest developments in housing and real estate policy, finance, and practice. 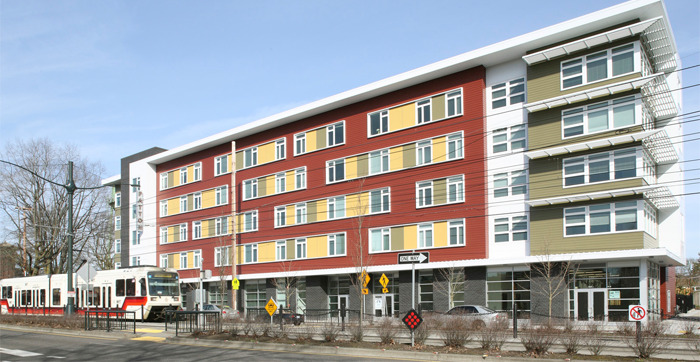 The center will serve as a resource to highlight what’s working and what’s possible, both locally and nationally, and will conduct research, convene people and ideas, and support interdisciplinary collaboration around the innovations that can push the housing field forward. Because one of the main goals of the center is to generate research and ideas that are both rigorous and timely, we intend to keep our finger on the pulse of the field through ongoing and deep engagement with practitioners, community members, scholars (from across this and other institutions), and other members of the public. To that end, I’m excited to be continuing with a busy speaking engagement calendar in the coming months. Look out for reflections from those events in the near future, and follow me on twitter @carolgalante4 for the latest updates. It has been a great first few months in my new role here at Berkeley, and I look forward to a very exciting and fruitful year! With the growing interest in urban living and investment in transit-oriented development (TOD), cities are becoming more expensive than ever. So how can we ensure low-income communities have access to transit and opportunity? In our recent study for the Poverty and Race Research Action Council, Ian Carlton and I conducted a national scan to gauge how far the field of equitable TOD has come and identify opportunities for further improvement. The study was inspired by recent federal action from the Federal Transit Administration to incorporate affordable housing into their evaluation metrics of the New Starts transit grant applicants. While a number of local, regional and state governments have already developed innovative funding and incentive programs to encourage equitable TODs, we were curious about the potential impact of such an action at the federal level. Will federal action make TODs more equitable in the future? To begin to answer this question, we analyzed the proximity of low-income housing to existing rail stations. We found that only 15% of affordable housing developments subsidized by the Low Income Housing Tax Credit (LIHTC) are within a half mile of a transit station. In contrast, over half of newly built transit stations have been located within a half mile of existing LIHTC developments. In other words, transit has done better at locating near affordable housing than vice versa. This may be due to the need for dense neighborhoods to support ridership, as well as the housing policies that channel subsidized housing to such areas. We also uncovered three factors that suggest that the few existing affordable TODs are either located in low opportunity neighborhoods or may not be stable. First, we found that transit-accessible neighborhoods with LIHTC developments had significantly lower opportunity levels, as measured by poverty rates and school district performance, in comparison to both transit-accessible neighborhoods without LIHTC developments and neighborhoods with LIHTC developments that did not have transit stations. Second, affordable TODs were more likely to experience gentrification pressures than both non-affordable TODs and affordable housing that was not located in a TOD. And third, only one in five new transit neighborhoods saw new LIHTC developments added after they opened. Our findings call into question the long-term stability of the few equitable TODs that have been successfully established. How much will the recently established evaluation criteria of the New Starts program shift the landscape? Given that over half of transit stations already go into neighborhoods with subsidized housing, it may be fruitful to focus efforts on funding new affordable units in TODs, as cost is often the limiting factor in the affordable housing industry. This is especially true in TODs given the extensive evidence showing that transit stations increase property values of surrounding neighborhoods. Furthermore, additional efforts should be made to develop affordable housing in high opportunity TODs, of which we have found few to date. And how do we stabilize the few existing affordable TODs, given our finding that they are more likely to experience gentrification pressures? In a related project, I am studying the role of transit investments in neighborhood gentrification and displacement of low-income households in the Bay Area. 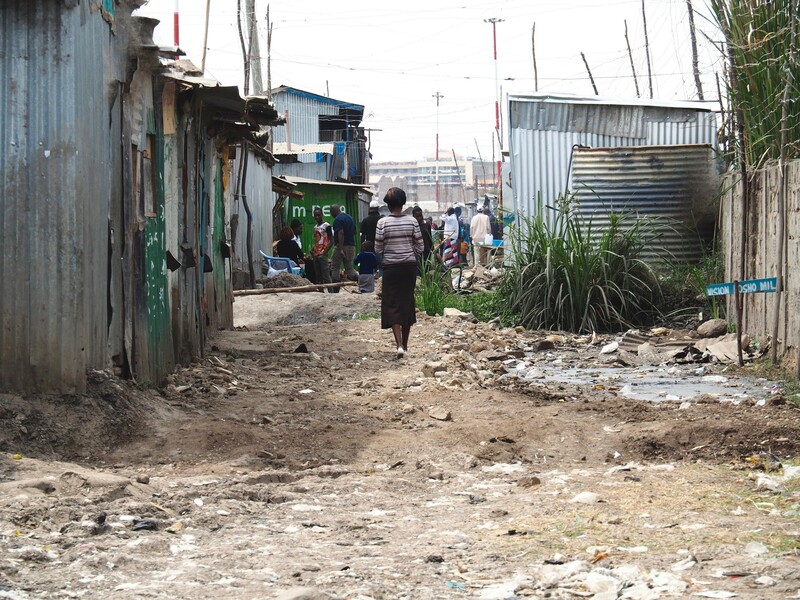 Through this project, we are developing a toolkit to help communities identify early warning signs and identify policy packages to better prepare for and prevent displacement from occurring. More research and action is certainly needed. As our investigations into three case studies indicated, even where communities have been successful at developing affordable housing near transit, ridership may not be meeting expectations; the theoretical benefits of affordable housing developments near transit may therefore not be fully captured. Affordable TOD appears to be a laudable goal, but one that is not yet fully understood. It will be important to replicate similar studies in the future to determine if recent policymaking, new funding programs and other efforts aimed at fostering equitable growth in transit and opportunity-rich neighborhoods are successfully moving the needle.